According to the Twitter user, she understood that decision and admires the lady’s bravery. She further added that our culture of marital pressure, and shaming people into remaining in such situations isn’t a good one. I once watched a bride stop cold on the steps of a church & say, “This is more than cold feet. I can’t marry him.” At the time, I only saw her fear. Today, at last, I understand. I’m amazed by her bravery. *sigh* Doing the right thing. It’s hard, it hurts, but it must be done. Or do what we really need to do. Many of us studied or are still studying courses our parents picked out. Or working jobs we hate do S to please family/society. Because we couldn’t stand the heat th at came with making the hard decisions. ..where calling off a wedding ceremony is almost a taboo. And no matter how hard we try, we constantly battle with the ‘what will people say’ syndrome. So, until you’ve stared parents/society in the face and followed your heart/guts, don’t say this isn’t bravery. Imagine their horror when I quit my job at the Supreme Court. 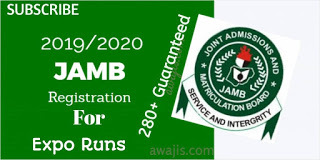 Why didn’t I quit while filling my JAMB form? Selfish me. Our culture of marital pressure and shaming people into remaining in such situations isn’t a good one. Just so you know. Now, I rest my case. 0 Response to "“Our Culture Of Marital Pressure And Shaming People Isn’t Good” – Lady Says"